After twelve hours of travel by car and plane, I now find myself on a Freciarossa high speed train tearing its way through the Tuscan countryside at 300km per hour. The Leonardo da Vinci–Fiumicino airport in Rome is now a distant memory. My airplane window view of puffy clouds has been replaced with a train window view of lush green hills and beautiful Tuscan villages. I try my best to counteract the impending jet lag by pulling out my camera. Eventually the view transitions into a blurry mixture of tall trees, soundproofing walls and continuous pitch-black tunnels. Announcements in Italian blare over the speakers - their English translations come soon after. In what seems like only minutes after leaving Rome, we’re pulling into Florence. Florence is an incredibly beautiful city, deeply rooted in Roman, Medieval and Renaissance history. Despite offering the conveniences of modern living on the inside, the face of the city has changed very little on the outside. The original architecture has, in many places, remained as it was for centuries. 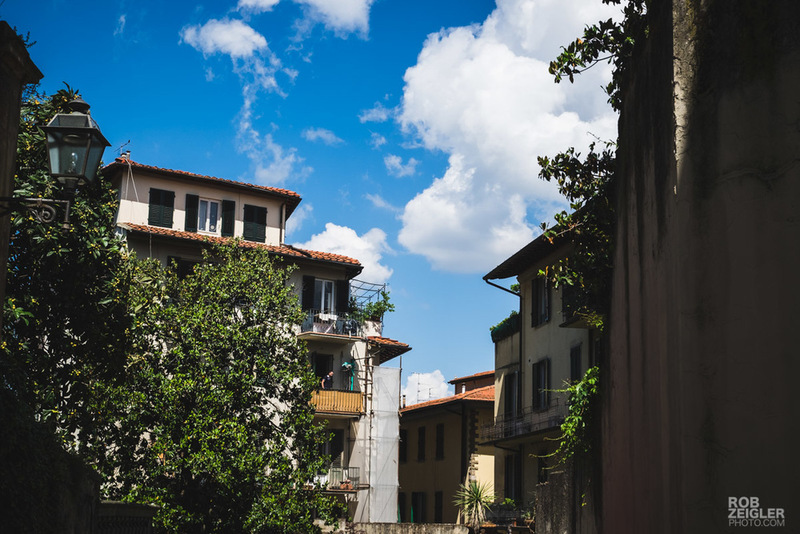 Scaffolding marks and other evidence of restoration proves that the residents of Florence are proud of their World Heritage designation. 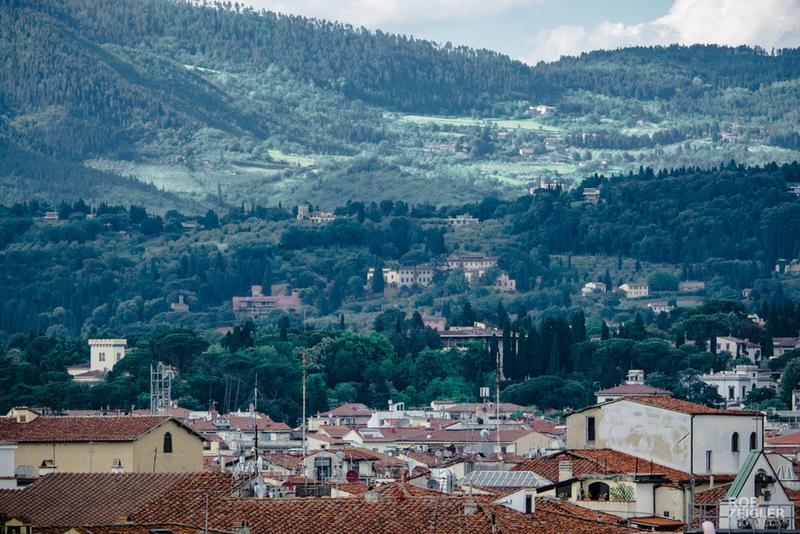 The historic center of Florence is a breathtaking site. The Duomo, Ponte Vecchio and the Piazza della Signoria make me stop in my tracks and marvel at their scale and beauty. From an American perspective, it makes me realize how young my country is. To walk through the streets of Florence, and European cities in general, is a humble reminder of people and civilizations who were here long before all of us. Their monuments, churches, cathedrals, artwork and statues are all still here to remind us of their presence in the very places in which we stand today. I try to take it all in, and I am awe-struck to be standing in this spot at this moment. Indeed, to walk in Florence is to walk through a timeless place.